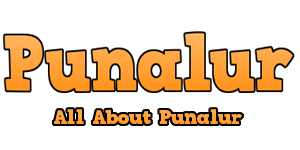 Punalur is a town situated, at the eastern corner of Kollam district on the foothills of the western ghats on the banks of Kallada River. The Sacred Heart Church, under the Patronage of Sacred Heart of Jesus with a vibrant community consisting of more than 150 families has a prominent place in exuberating faith in southern region of the Archdiocese of Changanacherry. In the serene township of Punalur, Church stands as a true symbol of Catholic faith, grandeur and majesty. The Syro Malabar Church was founded by St.Thomas, one of the 12 Apostles, who traveled to the farthest country then known to proclaim the Good news. He set sail to India and landed in Kodungalloor, Kerala in 52 A.D. He preached in different kingdoms all around the sub continent and established seven and a half Ecclesial Communities in Malabar, today called Kerala. When the European missionaries came to India, in the 16th century, the ecclesiastical boundary was limited within Pamba and Bharathpuzha. During the period of the second world war, Syrian Christians from central, started migrating to the Southern region of Kerala. Since the faithful were mostly farmers & traders, they were looking for farm land and wherever they settled, they built Churches and established their own faith communities. It was a historical event that the secretary of the Oriental Congregation Cardinal Eugene Tisserant visited different centres of the St. Thomas Christians(Marthomanasranikal) of Kerala in 1953.Through the visit Cardinal Tisserant personally experienced the zeal and missionary spirit of the Syrian Catholics, and the cardinal submitted a report to the Holy See. The result of this report was the expansion of the Changanacherry Diocese till Kanyakumari. The expansion came into existence in 1955 through the Multorium Fidelium Decree. This Decree gave a new spiritual and social inspiration to the southern region mission including Kanyakumari, Kollam, Thiruvananthapuram and Amboori. New foranes, schools and convents were started during this period. In 1962, Under the guidance of Archbishop Mar Mathew Kavukatt, Rev. Fr. Ephrem Kunnapally, who then was the vicar of Venchebu parish, inspired and motivated the laity, and with the assistance of few prominent people like Adv. Mathew Panjikkaran, Thomachan Koithara, Francis Vayalumkal, Chakko Varghese Karuvallil, Mamachan Anchil Puthenchira and P.V Johnappan St. George Bhavan, initiated the move for a Church at Punalur. In 1962 we purchased a land near Punalur Bus stand, started the construction work, which was more like a chapel with limited convenience . The Church was consecrated by His Excellency the Archbishop Mar Mathew Kavukatt in 1963. Rev. Fr. Jacob Punnakkal took charge after Rev. Fr. Ephrem Kunnapally. During his time, Holy Mass was conducted on Sundays in temporary sheds constructed at lands donated by Sri. Joseph Judge and Sri. Kurian Kannat at Chengulam and Cherukadavu respectively. Rev. Fr. Mathew Kuzhively took charge in 1965. During his time a small but beautiful church was constructed at Chengulam. From 1969 to 1972 Rev. Fr. John Madappad served all these churches. From 1972 to 1975 Rev. Fr. Jose Orikkala CST and Rev. Fr. Thomas Kallidukkil CST served the parish. It was an era of new direction and growth for the church when CMI priest Rev. Fr. Job Vallippalam took charge in 1975, and he was succeeded by Rev. Fr. Chakko Basil Varampathuchira CMI. From 1977 to 1985 Rev. Fr. Kurian Mukkocheril CMI took charge of all the three churches. On 31st December 1977 H. E. Cardinal Mar Antony Padiyara consecrated the Infant Jesus Church at Cherukadav. Sahridhaya Nursery & Tuition Home was started along with Nellippalli church on 21st October 1979. Sanjose Book stall started in 1979 played an important role to make Christian books available for the parish community. In 1979, The foundation stone for the construction of the C.M.I. Nirmal Giri Ashram at Mukkadavu, was laid by the Prior General Rev. Fr. Thomas Ikkara. The 6 Acres land was donated by Rev. Fr. Cyriac Manavalan. H.E. Archbishop Mar Antony Padiyara blessed the Ashram in 1981. Since then the Priests and the Brothers of Ashram serve Parish church in Spiritual leadership and material works. In 1980 H. E. Cardinal Mar. Antony Padiyara elevated Sacred Heart Church, Nellippally, Punalur as a full-fledged Parish from the status of Mission Parish. Cemetery construction work was completed during this year. From 1979 to 1985 Fr. Kurian served as the Director of Yuvadeepthi, Kollam Region. A couple of Cultural activities as well as conventions were conducted under his direction. In 1985 Punalur Convention started. In 1985, Rev. Fr. James Joseph Kozhimttom took charge. A new Grotto has been constructed at Kakkode for Chengulam Church. 1987 to 1990 Rev. Fr. Joseph Malayampuram and Rev. Fr. Sebastian Pinaiyil served the parish. In the beginning there were only a few families in the parish but later on when the parish began to grow the need of a new church was felt. From 1990 to 1993 Rev. Fr. Mathew Polachira served the parish. On 14th May 1992, with the financial support from Changanacherry Archdiocese a land of 30 cents was purchased on the bank of Kallada River, near Nellippally Junction. In 1993 Rev. Fr. Mathew Polachira was appointed as the Novitiate Master and Fr. Rector of Nirmal Giri Ashram. When Rev. Fr. Jose Chennattussery took charge as vicar, the construction was given priority and funds for construction was raised from the parish itself and A two storeyed building was finished. Ground floor (Now turned to Social Service Society Office) was used as Church and the first floor for Sunday school. The Church consecration and First Holy mass was conducted by Msgr. Mathew Pulickaparampil, the then Vicar General of the Changanachery Archdiocese, on 9th October 1994. Ever since Rev. Fr. Paul Thunduparampil CMI took charge as vicar, under the supervision of Rev. Fr. Mathew Polachira CMI, a decision was taken by the General Body to start the construction of church. A sketch was drawn with parish hall in the ground floor. The Foundation stone of the proposed church was laid by H.E. Mar Joseph Powathil, The Metropolitan Archbishop of Changanachery. The parishners helped by voluntary labouring for the work Parish separated into different prayer groups and monthly prayer meetings were started. Rev. Fr. Mathew Chethikkalam CMI took charge as the Assistant Vicar. During his tenure, Sunday school and religious organizations have reached its heights. As he has to leave for higher studies, Rev. Fr. Kuriakose Kalarikkal CMI took charge. A choir group was formed during his time.. In May 1996 Rev. Fr. Antony Kakkanad CMI, appointed as the Rector of NirmalGiri Ashram and the Vicar of S. H. Church Nellippally. His vast experience and contacts helped him to continue the church construction works started by his predecessors. Prayers and contributions of the Rectors, Priests and Brothers of Nirmalgiri Ashram benefited the parish beyond measures and their sacrifice remains ever fresh event today. Consecration of the church was done by Mar. Joseph Powathil, the Archbishop of Chenganassery. Blessing of the grotto of Blessed Virgin Mary and Parish Hall were done by the Bishop of Punalur Diocese Rev. Dr. Mathias Kappil and then the Provincial of CMI Fr. Thomas Kalam. Thus the dream to have a parish Church materialized. After Rev. Fr. Antony Kakkanad CMI, Rev. Fr. Ludvic Pathical CMI and Rev.Fr. John Pallithuruthel CMI served the parish during 1998 to 2000. In the year 2000, Punalur parish returned to the pastoral care and clerical jurisdiction of Archdiocese of Changanassery. Rev. Fr. Joseph Choolaparampill, proved his merit through the various activities he engaged in such as, Common Grave Construction at Cemetery, Building rooms for the Cook and Office bearers. He was not only the benefactor of the Catholics but the common men of the city. On 2nd November 2001, Sacred Heart Convent was started at Nellippally. Kollam – Ayur Forane Vicar Rev. Fr. Sebastian Viruppel blessed the convent. Sisters from this convent play a major role in the day to day spiritual activities of the church as well as Contribution in Catechism and liturgical training is worth mentioning. A Chappel at Pathanapuram was started during this time. As an illustrious priest who cared for both spiritual and material building of the people of Punalur Rev. Fr. Joseph Choolaparampill left an indelible mark in the history of S.H church Punalur. His selfless service came to an end as his successor Rev. Fr. Sebastian Ezhunoottil took charge. His heart is filled with an unquenchable thirst for souls. His priority remained with prayer filled Holy Querbana, adoration and Christmas celebrations. From the year of 2005 Parish day celebrations were started in the month of November. During the 4 years of vicarship Fr. Sebastian, various instruments for choir purposes in the Church were bought. As he had been transferred to Kumarakam Parish, Rev. Fr. George Manthuruthil took charge on 27 may 2009. He stressed inter-rite relations, inter-faith harmony and ecumenism. Cemetery chapel was solemnly consecrated by H. E. Mar Joseph Perumthottam, the Metropolitan of Changanachery. Year for Priests, celebrations were inaugurated on the same day. He put a lot of efforts to collect the Baptismal, Marriage and confirmation records of families and Computerisation of the Parish information were completed in the year 2010. An acre of land has been purchased for constructing a church at Pathanapuram. 2009 March 14th was a remarkable day in the History of Punalur parish with the pastoral visit of H. E. Mar Joseph Perumthottam, the auxiliary Bishop of Changanassery. He took time to meet Office bearers, prayer groups, different religious organization committee members as well as the Old and sick people of the parish separately. On 25th of April 2010, the Year of Priests closing ceremony of forane was celebrated at Secred Heart Church, Punalur. All the Priests and Nuns who have been called from this parish to work in the grape orchard of our Lord were present on that day. A new congregation of Sisters was founded in the year 2010 December 18th under our parish. The service of Sisters of Mercy(SM), at Vilakudy work remarkably for the disabled and mentally retarded orphan women. Sr. Rosaline is the founder and first Superior of the congregation. Members of the Parish works in different Religious Organizations dedicatedly to develop a personal relationship with Jesus by forming an environment in which they will develop a better understanding of God and their Catholic Faith, a desire to serve Him within the parish and the community, and a knowledge of His love for them. On 16th February, 2012 Fr. Joseph Nalpathamkalam took the charge of Vicar instead of Rev. Fr. George Manthuruthil. Sacred Heart Church, Nellippally P. O.
Punalur, Kollam (Dist), Kerala, India.